AUPOURI leaving Auckland on an excursion. 1905 built for Northern Steam Ship Company. 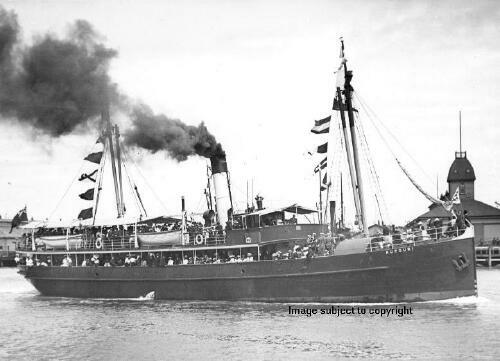 A sister ship to NGATIAWA. 1909 March 18th aground on Opotiki Bar, cracking her engine beds. Towed free by the NGATIAWA. 1932 October, broken up at Auckland after a long lay-up.